It’s their way of ushering in good luck. 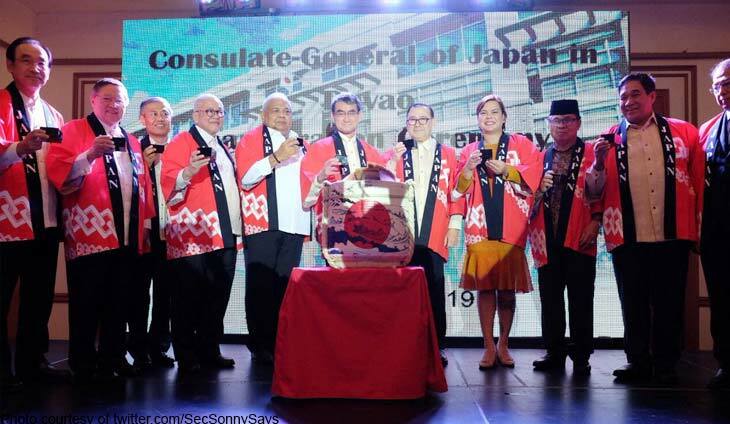 Finance Secretary Carlos Dominguez III donned a bright red kimono to match those worn by his counterparts at the Japanese Embassy. The executives visited Davao City as they leveled up the Japanese office to a consulate general. Joining Dominguez are Executive Secretary Salvador Medialdea and presidential daughter and Mayor Sara Duterte-Carpio, as they broke a sake barrel for the occasion. “This Japanese tradition symbolizes the opening to harmony and good fortune,” Dominguez said as they held on to cups of rice wine. It's all in the name of solidarity. The increase has to be high enough to stop people from smoking for good.